Hello readers! 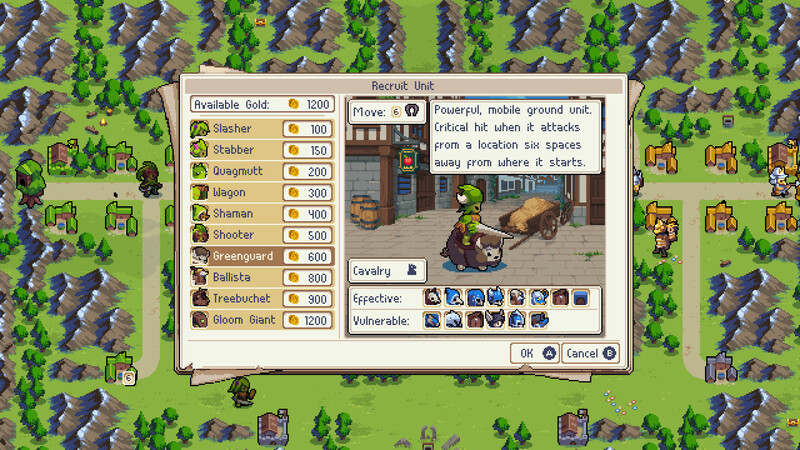 Today I get to write about a fun turn-based strategy game - Wargroove! Wargroove is a game I’ve had on my radar for a while now, since it’s -basically- fantasy Advance Wars! I used to love Advance Wars during my high school years, but does this same style of game hold up to modern tastes and does making it even more anime help or hinder the game? Check out the trailer to see what I mean. Wow, that’s kind of painfully anime, isn’t it? We’ve got our androgynous protagonist with a face scar and their armoured wardog, then flashes of fight scenes between lots of other characters before we see what might be the true threat. But Mercia, the first character we see in the trailer is definitely more feminine in the actual game and that sweet armoured dog? He never actually fights himself, instead he rolls on his back and begs for belly pets while his two bodyguards with crossbows defend him. Why? I don’t know, perhaps it has some to do getting a certain rating for the game, as none of the attack dog units actually die in this game, they just run off the screen when they take lethal damage. The game is filled with lots of little logical inconsistencies like that. It’s made clear that your units are fighting and killing each other and that war is terrible, but when you face the enemy commander that you’ve just defeated your commander will just let them leave! Mercia, the first commander we play literally walks away from the enemy commander Ragna because she feels awkward watching Ragna have a tantrum after losing, which just leads to Ragna gathering her forces together and launching another attack against Mercia’s kingdom. Maybe Mercia’s musing were right, she probably isn’t fit to lead this nation, or at least not it’s armies. 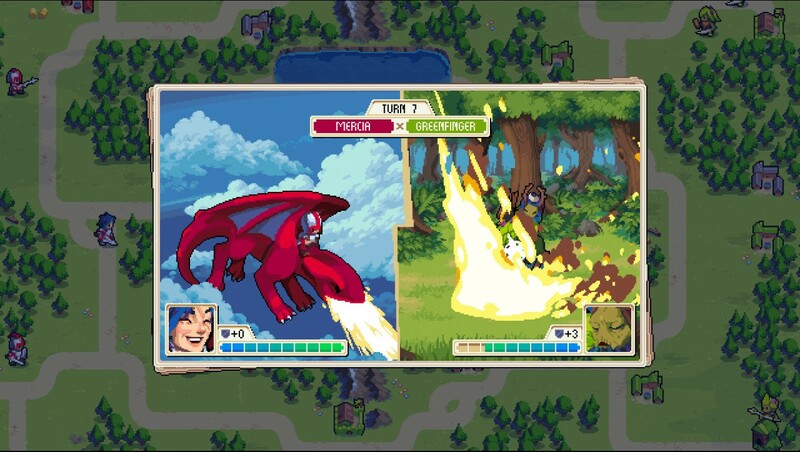 Wargroove’s campaign lets you play as different commanders, each of which support their troops in different ways through their groove ability which charges as you defeat enemy troops. Mercia’s groove ability allows her to heal herself and her surrounding troops, while Caesar the wardog’s allows units directly adjacent to him to be activated again. Your units also have different ways to make their attacks critical, dealing extra damage. Your swordsmen units will deal critical hits when next to their commander, while your cavalry will trigger criticals if their use all of their movement before attacking. I like this aspect of the game as it adds an extra layer of complexity onto a game style that otherwise hasn’t evolved much, though in order to make it fair the developer make each faction have the exact same units, just with a different skin, which is frustrating as the undead should fundamentally feel different than human soldiers and plant creatures. Overall I really enjoy this game and it’s retro art style, but I can see how the campaign might eventually devolve into a slog. The game also features asynchronous multiplayer which seems pretty cool as well as a map and campaign editor that should easily add dozens of extra hours to the game. Wargroove is available now for PC, XBONE and Switch and is coming soon for PS4. What do y’all think, is the story too anime or is that just me?